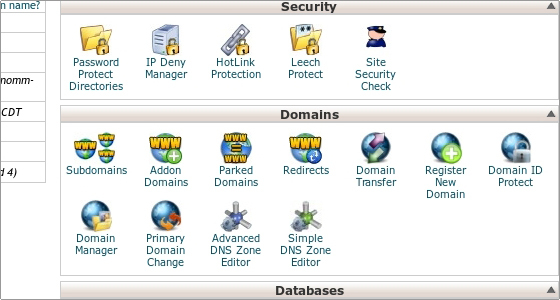 The DNS zone editors can be found under the Domains section. There are 2 possible options you can choose Advanced DNS Zone Editor and Simple DNS Zone Editor. 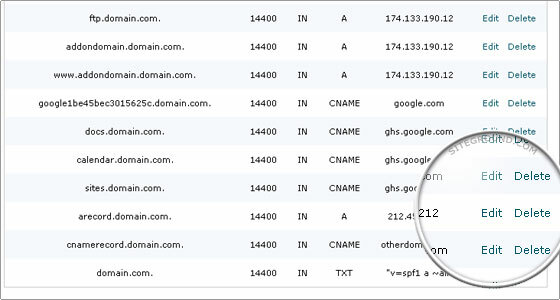 There is no significant difference between them and in most cases you can use the Simple DNS Zone Editor. We will first describe its functionality and then address the additional options provided by the Advanced DNS Zone Editor. Three new areas will load. The first one will give you the possibility to add an A record for your domain name. All you need to do is enter the desired sub-domain name for the A record and the IP address to which you would like it pointed. Then click Add A record button. 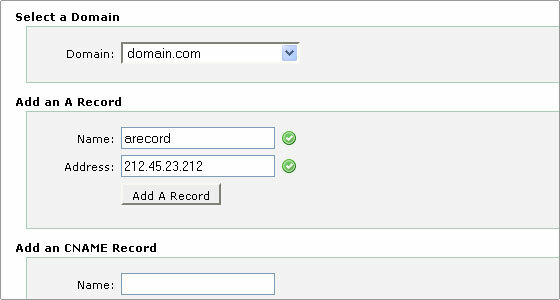 A notification will appear that you have successfully added the A record for your domain. 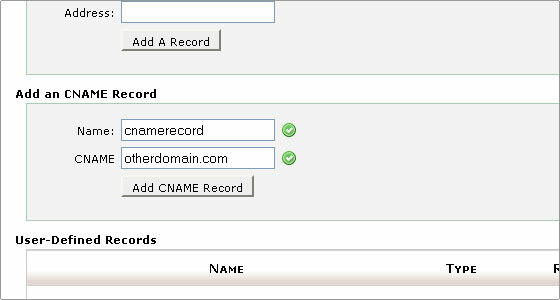 The second section allows you to add CNAME records for your domain name. All you need to do is enter the desired sub-domain name for the CNAME record and the address (note that it should be fully qualified domain name) to which you would like it pointed. Then click Add CNAME Record button. A notification will appear that you have successfully added the CNAME record for your domain. 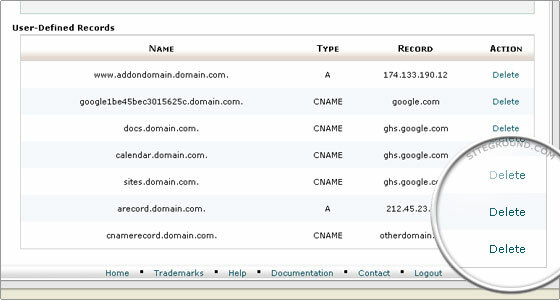 The third section allows you to delete existing custom DNS records for your domain name. If you no longer wish to use a DNS record you have previously created it can be removed via this area simply by clicking the Delete link. Then confirm the record deletion in the popup by clicking the Delete button. 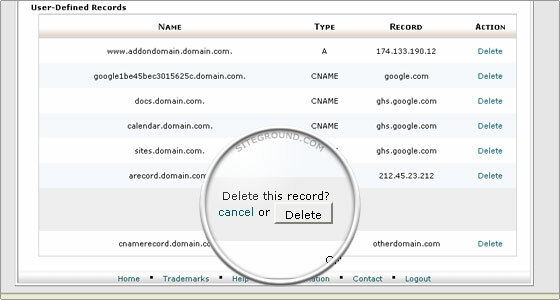 Note that you can delete only the custom user-defined records. 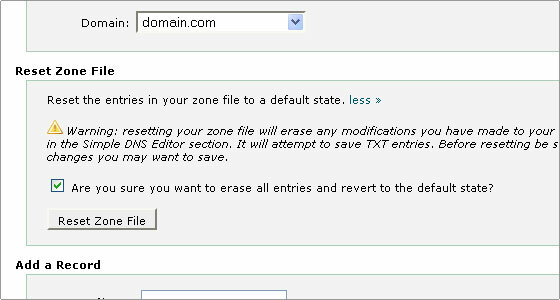 The Simple DNS Zone Editor will not let you modify the default records set for your domain name. There are 3 differences in the advanced editor from the simple one we reviewed. Please note that if you are not 100% sure what changes you are making it is always better to use the Simple DNS Zone Editor in order to avoid any major issues with the DNS zone for your domain name and the accessibility of your website. The first difference is the option to completely reset your DNS records to the default ones. Note that this option should not be used in cases you need custom setup for your domain name DNS. It is only safe to use this option if you would like the DNS reset to default. 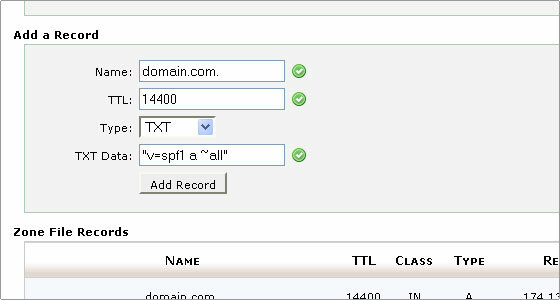 To reset the DNS Zone for the chosen domain name click “More”. Tick the check box confirming that you would like the DNS Zone reset then click the Reset Zone File button. 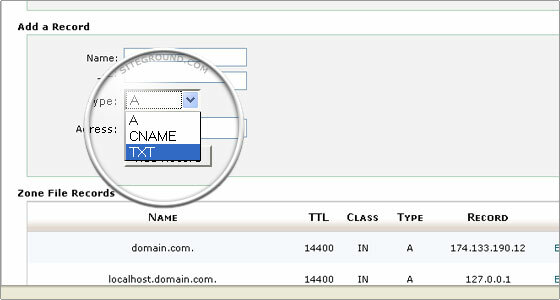 The second difference in the Advanced DNS Zone editor is that you are able to add one additional type of record – TXT. The A and CNAME records are still available and you can choose to add such records from the same drop-down menu. The TXT record is not that commonly used but it is needed in several cases, for example when creating an SPF record for your domain name. Also there is an additional field to add TTL (time to live) for the record you are creating. If there are no specific requirements you can use the default value 14400 for TTL. This will not cause any issues. 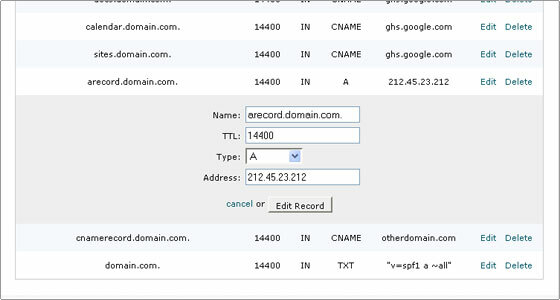 Last but not least the third difference in the Advanced DNS Zone Editor is in the Manage existing records section. There are several differences here. The TTL for each record is displayed. You can not only delete but also edit existing records. This can be done by clicking the Edit link. A popup will appear which is like the one above where you can create new records and it will allow you to alter the existing one. 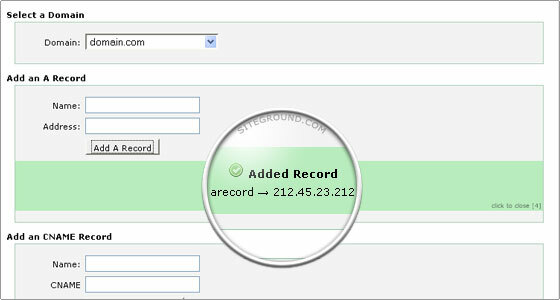 All records are displayed and you can manage them, not only the custom ones you have added. Note that you should be very careful and not make changes if you are unsure about them in order to avoid service downtime.